Of the many "puzzles" or cryptograms in The Book of the Law* possibly the most significant is found in verse 57 of the first chapter: "All these old letters of my Book are aright; but ? is not the Star. This also is secret: my prophet shall reveal it to the wise." 2) The Book of the Law quote is "All these old letters of my Book are aright; but ? is not the Star." If this is so, then according to Crowley how is it that Heh and Tzaddi need to be changed, meaning that two of the letters aren't "aright." The quote mentions specifically that Tzaddi is the only letter with a problem. The explanation put forth in this essay circumvents both of these issues in that Tzaddi remains associated with the path between Netzach and Yesod and stays linked with Aquarius, and the positions of all the other Hebrew letters remain in their traditional places on the Tree of Life diagram. 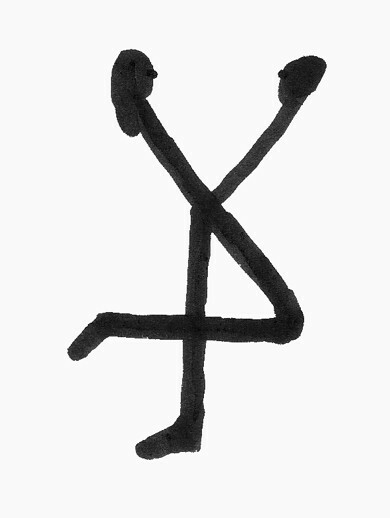 The form of the letter Tzaddi is often described as being a Yod connected to the upper-right side of a bent over Nun, thus the faithful servant (Nun) with hands (Yod) outstretched to God in prayer. 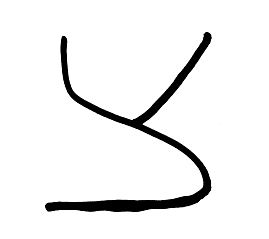 Depending on the tradition, the serif of the Yod may point to the right or the left. "Enters the ? "Zade" and says: "O Lord of the world, may it please Thee to create with me the world, inasmuch as I am the sign of the righteous ("Zadikim") and of Thyself who art called Righteous, as it is written, "For the Lord is righteous, He loveth righteousness" (PS. XI, 7)", and hence it is meet to create the world with me." The Lord made answer: "O "Zade", thou art "Zade", and thou signifies ? "Zaddik" (the righteous one), but thou must be concealed, thou mayest not come out in the open so much lest thou wouldst give the world cause for offense. For thou consistest of the bent letter ? "Nun" surmounted by the letter ? 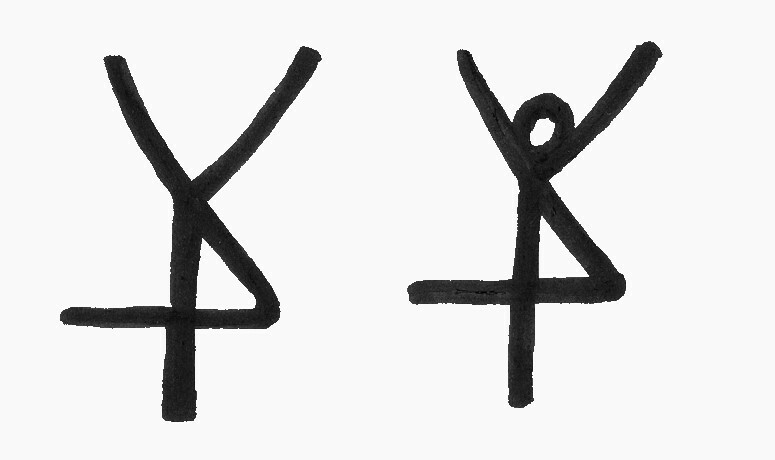 "Yod" (representing together the male and female principles). And this is the mystery of the creation of the first man, who was created with two faces (male and female combined). In the same way the ? "Nun" and the ? "Yod" in the ? 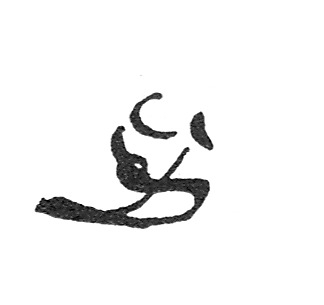 "Zade" are turned back to back and not face to face, whether the Zade is upright or turned downwards. The Holy One, blessed be He, said further to her: I will in due time remove thee from your location, that is, divide thee in two, so as to appear face to face, but in order to accomplish this, you will have to go up into a higher realm so as to achieve this status of face to face unity, but this will be accomplished later on; that is to say; not at the beginning of the creation of the world, when you will have to appear in the image of back to back, which designates that the light of "Malchut" is concealed. As a result, the world cannot be created with you. The letter ? "Zade" then departed." Given the very shape of the letter, and the Zohar reference above, how anyone could honestly deny the letter Tzaddi is related to the concept of righteousness is beyond the bounds of common sense. Crowley's scribbling is sloppy at best, but with the exception of the two divergences mentioned above, one can see how this could be an honest attempt at writing the letter Tzaddi. 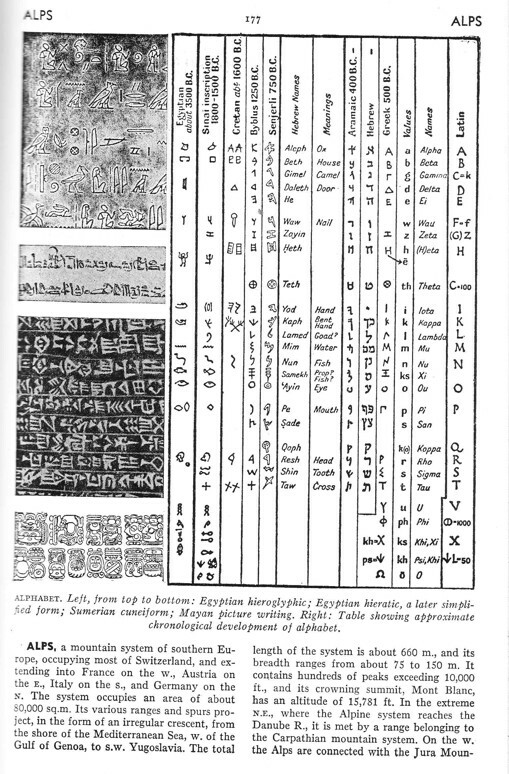 Also, the fact that Crowley claimed it was a Tzaddi is another good argument that another letter or glyph was not intended. It is common that the basic form found in a Tarot Trump approximates the Hebrew letter corresponding to that Trump. For example, in Crowley's Thoth Tarot, the Fool is drawn to look like an Aleph, the Tower contains a mouth (letter Peh) in the lower right-hand corner, and Crowley commented on the Empress: "At the back of the card is the Arch or Door, which is the interpretation of the letter Daleth," and on The Hermit "The figure of the Hermit himself recalls the shape of the letter Yod. . . ."
"The twelfth numbered major trump is called Le Pendu, the Hanged Man, and portrays a young man hanging by his left leg from a horizontal beam, the latter supported by two tree trunks from each of which six branches have been removed. The right leg of the youth is crossed in back of the left and his arms are folded behind his back in such a way as to form a cross surmounting a downward pointing triangle. The figure thus forms an inverted symbol of sulphur and, according to Levi, signifies the accomplishment of the magnum opus. In some decks the figure carries under each arm a money bag from which coins are escaping. Popular tradition associates this card with Judas Iscariot, who is said to have gone forth and hanged himself, the money bags representing the payment he received for his crime. "The Hanged Man. 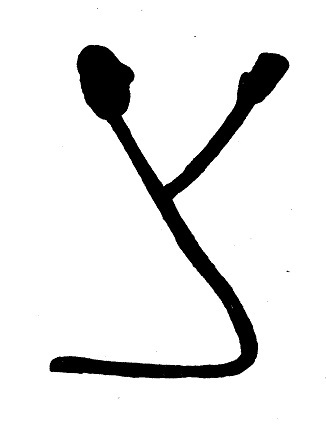 This is the symbol which is supposed to represent Prudence, and Éliphas Lévi says, in his most shallow and plausible manner, that it is the adept bound by his engagements. The figure of a man is suspended head-downwards from a gibbet, to which he is attached by a rope about one of his ankles. The arms are bound behind him, and one leg is crossed over the other. According to another, and indeed the prevailing interpretation, he signifies sacrifice, but all current meanings attributed to this card are cartomancists' intuitions, apart from any real value on the symbolical side. The fortune-tellers of the eighteenth century who circulated Tarots, depict a semi-feminine youth in jerkin, poised erect on one foot and loosely attached to a short stake driven into the ground. The gallows from which he is suspended forms a Tau cross, while the figure--from the position of the legs--forms a fylfot cross. There is a nimbus about the head of the seeming martyr. It should be noted (1) that the tree of sacrifice is living wood, with leaves thereon; (2) that the face expresses deep entrancement, not suffering; (3) that the figure, as a whole, suggests life in suspension, but life and not death. It is a card of profound significance, but all the significance is veiled. One of his editors suggests that Éliphas Lévi did not know the meaning, which is unquestionable--nor did the editor himself. It has been called falsely a card of martyrdom, a card a of prudence, a card of the Great Work, a card of duty; but we may exhaust all published interpretations and find only vanity. I will say very simply on my own part that it expresses the relation, in one of its aspects, between the Divine and the Universe. "12. 12th Hebrew letter (Lamed). ORIGIN OF THE SYMBOLISM OF THE TWELFTH CARD OF THE TAROT. Hieroglyphically the Lamed designates the arm, and therefore it is connected with anything that stretches, that raises, that unfolds like the arm, and has become the sign of expansive movement. It is applied to all ideas of extension, of occupation, of possession. As a last sign, it is the image of the power derived from elevation. Divine expansion in humanity is produced by the prophets and revelation, and this inspires the idea of the revealed law. But the revelation of the law involves punishment for him who violates it, or elevation for him who understands it; and here we find the ideas of punishment, of violent death, voluntary or involuntary. The Lamed, a simple letter, astronomically corresponds with the zodiacal sign of the Balance. TWELFTH CARD OF THE TAROT. The Hanged Man. A man hanging by one foot to a gibbet, resting upon two trees, each bearing six branches, which have been cut off. The man's hands are tied behind his back, and the fold of his arms forms the base of a reversed triangle, of which his head forms the point. His eyes are open and his fair hair floats upon the wind. 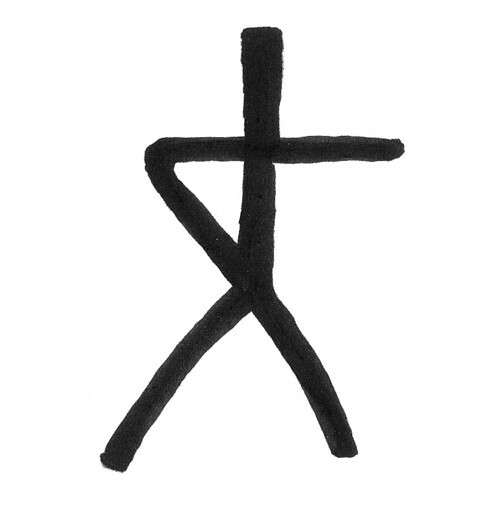 His right leg crosses his left and so forms a cross. This young man is again the Juggler whose transformations we have already followed in the 1st, 6th, and 7th arcana. Like the sun placed in the midst of the signs of the Zodiac (six on each side, the lopped branches), our young hero is again suspended between two decisions, from which will spring, no longer his physical future, as in the 6th arcanum, but his spiritual future. The 12th arcanum fills the centre between the 6th arcanum (Wisdom) and the 15th (Fatality). These arcana represent the two women of the 6th arcanum, regarded in the spiritual sense. This Hanged Man serves for an example to the presumptuous, and his position indicates discipline, the absolute submission which the human owes to the Divine. Considered alchemically, the Hanged Man shows the sign of personality. In the hermetic grade of the Rosy-Cross (18th degree of the Freemasonry of Scotland) one of the signs of recognition consists in crossing the legs like those of the Hanged Man. It is needless to say that the origin and meaning of this sign is quite unknown to the Freemasons. The twelfth card of the Tarot represents Equilibrist Power. It neutralizes the oppositions of the tenth and eleventh cards. 3. Equilibrium of the potential Manifestation (10), and of reflected Life (11). 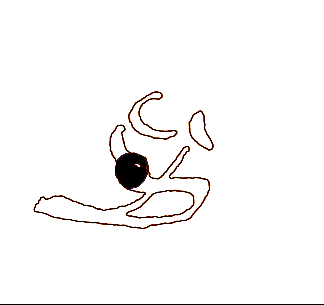 Reflex of the astral Fluid. EQUILIBRIST FORCE. Modifying force is the last term of the 2nd septenary. By it the Astral will realize itself to pass into the physical, from the world of preservation and reception (2nd septenary) into the world of transformation (3rd septenary). It is notable that there is an apparent increase of darkness and solidity in proportion as the redeeming element manifests itself; but the colour of green is the colour of Venus, of the hope that lies in love. That depends upon the formulation of the Rose and Cross, of the annihilation of the self in the Beloved, the condition of progress. In this inferior darkness of death, the serpent of new life begins to stir. In the former Aeon, that of Osiris, the element of Air, which is the nature of that Aeon, is not unsympathetic either to Water or to Fire; compromise was a mark of that period. But now, under a Fiery lord of the Aeon, the watery element, so far as water is below the Abyss, is definitely hostile, unless the opposition is the right opposition implied in marriage. But in this card the only question is of the “redemption” of the submerged element, and therefore everything is reversed. This idea of sacrifice is, in the final analysis, a wrong idea. The whole idea of sacrifice is a misconception of nature, and these texts of the Book of the Law are the answer to it. But water is the element of Illusion; one may regard this symbol as an evil legacy from the old Aeon; to use an anatomical analogy, it spiritual vermiform appendix. It was the water, and the Dwellers of the Water that slew Osiris; it is the crocodiles that threaten Hoor-Pa-Kraat. This card is beautiful in a strange, immemorial, moribund manner. It is the card of the Dying God; its importance in the present pack is merely that of the Cenotaph. It says: “If ever things get bad like that again, in the new Dark Ages which appear to threaten, this is the way to put things right.” But if things have to be put right, it shows that they are very wrong. It should be the chieftest aim of the wise to rid mankind of the insolence of self-sacrifice, of the calamity of chastity; faith must be slain by certainty, and chastity by ecstasy. “Pity not the fallen! I never knew them. I am not for them. I console not: I hate the consoled and the consoler.” Redemption is a bad word; it implies a debt. For every star possesses boundless wealth; the only proper way to deal with the ignorant is to bring them to the knowledge of their starry heritage. To do this, it is necessary to behave as must be done in order to get on good terms with animals and children: to treat them with absolute respect; even; in a certain sense, with worship. Note on the Precession of the Aeons. “The Hanged Man” is an invention of the Adepts of the I.N.R.I.-J.A.O. formula; in the Aeon previous to the Osirian, that of Isis (Water), he is “The Drowned Man”. The two uprights of the gallows shewn in the Mediaeval packs were, in the parthenogenetic system of explaining and ruling Nature, the bottom of the Sea and the keel of the Ark. In this Aeon all birth was considered an emanation, without male intervention, of the Mother or Star-Goddess, Nuit; all death a return to Her. This explains the original attribution of the Atu to Water, and the sound M the return to Eternal Silence, as in the word AUM. This card is therefore specially sacred to the Mystic, and the attitude of the figure is a ritual posture in the Practice called “The Sleep of Shiloam”. The Alchemical import of this card is so alien to all dogmatic implications that it has seemed better to deal quite separately with it. Its technical qualities are independent of all doctrines soever; here is a matter of strictly scientific bearings. The student will be prudent to read in connexion with these remarks Chapter XII of Magick. The Atu represents the sacrifice of “a male child of perfect innocence and high intelligence”--these words were chosen with the utmost care. The meaning of his attitude has already been described, and of the fact that he is hanged from an Ankh, an equivalent of the Rosy Cross; in some early cards the gallows is a Pylon, or the branch of a Tree, by shape suggesting the letter Daleth, Venus, Love. His background is an unbounded grill of small squares; these are the Elemental Tablets which exhibit the names and sigilla of all the energies of Nature. Through his Work a Child is begotten, as shewn by the Serpent stirring in the Darkness of the Abyss below him. Yet the card in itself is essentially a glyph of Water; Mem is one of the three great Mother Letters, and its value is 40, the might of Tetragrammaton fully developed by Malkuth, the symbol of the Universe under the Demiourgos. Moreover, Water is peculiarly the Mother Letter, for both Shin and Aleph (the other two) represent masculine ideas; and, in Nature, Homo Sapiens is a marine mammal, and our intra-uterine existence is passed in the Amniotic Fluid. The legend of Noah, the Ark and the Flood, is no more than a hieratic presentation of the facts of life. It is then to Water that the Adepts have always looked for the continuation (in some sense or other) and to the prolongation and perhaps renovation of life. The legend of the Gospels, dealing with the Greater Mysteries of the Lance and the Cup (those of the god Iacchus=Iao) as superior to the Lesser Mysteries (those of the God Ion=Noah, and the N-gods in general) in which the Sword slays the god that his head may be offered on a Plate, or Disk, says: And a soldier with a spear pierced his side; and thereforth there came out blood and water. This Wine, collected by the Beloved Disciple and the Virgin-Mother, waiting beneath the Cross or Tree for that purpose, in a Cup or Chalice; this is the Holy Grail or Sangreal (Sangraal) of Monsalvat, the Mountain of Salvation. [Grail (gréal) actually means a dish: O.F. graal, greal, grasal, probably corrupted from late Latin gradale, itself a corrupt form of crater, a bowl.] This Sacrament is exalted in the Zenith in Cancer; see Atu VII. It is most necessary for the Student to go round and round this Wheel of symbolism until the figures melt imperceptibly the one into the other in an intoxicating dance of ecstasy; not until he has attained that is he able to partake of the Sacrament, and accomplish for himself--and for all men!--the Great Work. "139. I ween that I hung | on the windy tree, Hung there for nights full nine; With the spear I was wounded, and offered I was To Othin, myself to myself, On the tree that none may ever know What root beneath it runs." I see no mention of Odin hanging upside-down there or anywhere else, and unless there is further evidence that Odin was hanging upside-down from the world-tree, I would have to reject this theory. Although I have never seen it mentioned, the Indian myth of Trishanku appears to be a good match for the Hanged Man, given that his fate was to hang upside-down in his own "heaven." The reader should note that in some Tarot decks the Hanged Man is hanging from his right leg, and in others from his left. Some claim his legs are crossed to make the Arabic numeral "4." Certainly this is more accurate than saying his legs form a "cross," although in many versions the legs form the mirror image of a "4." Some claim the Hanged Man's arms are tied behind him, while others have his arms outstretched downward. Some say his arms form a downward pointing triangle (symbolizing water); others an upward pointing triangle (symbolizing fire). Some say the basic form of the card is an upside-down symbol of sulphur (a cross above a downward pointing triangle), while the Golden Dawn depicts it as a cross above an upright triangle. But why upside-down? Could this be a reference to the Zohar quote regarding Tzaddi remaining concealed until a future date? "Etymology 1 From Middle English ari?t, ariht, from Old English ariht (“aright, properly”), from earlier *an riht, on riht (“rightly”), corresponding to a (prep. )- +? right. Adverb aright (comparative more aright, superlative most aright) Rightly, correctly; in the right way or form. 1603, John Florio, translating Michel de Montaigne, Essays, I.56: it is not easie we should so often settle our minds in so regular, so reformed, and so devout a seat, where indeed it ought to be, to pray aright and effectually: otherwise our praiers are not only vaine and unprofitable, but vicious. Etymology 2 From Middle English arighten, arihten (“to raise up”); and Middle English iri?ten, irihten, ?erihten (“to make right, correct, erect”), from Old English gerihtan (“to set right”), equivalent to a- +? right. Verb aright (third-person singular simple present arights, present participle arighting, simple past and past participle arighted) (transitive) To make right; put right; arrange or treat properly. 2003, John Beebe, Terror, Violence, and the Impulse to Destroy: But, from working with those who have felt exiled and damned, excoriated and benumbed, and yet have made it back to useful and creative life again, I know there are more sure, albeit intense, ways to aright oneself." "Right Adverb Synonyms straighten (up or out), set upright or aright" I righted all the chairs the children had knocked over. We should also examine the spiritual meaning that would correspond to a Trump between Yesod and Netzach. Previously we mentioned in psychological terms, Yesod relates to the primary drives of an organism, and Netzach to the desires. The distinction between the two is more than often lost in popular culture with it's salacious appeals to base drives and slick advertising designed to lull one into a world of fantasy where desires will supposedly be fulfilled. Drives need no conscious thoughts to exist; desires cannot exist without conscious thoughts. These concepts are discussed in detail in The Key To It All for any who think this is not the case. If the Hanged Man, then, is perched between drives and desires, it is the mechanism allowing for separation of the two so that the aspirant might master his desires through control of his mind, and master his drives through control of his body. Note also that prior to the origin of consciousness around 500 B.C., the Drowned Man would have been a more appropriate symbol, since without consciousness the ability to distinguish between unconscious drives and conscious desires would be all but impossible, and Crowley's observation that the Trump has changed over the Aeons makes sense in relation to the evolution of the human mind over the Aeons. Again, the reader is referred to The Key To It All for a more thorough discussion of these subjects, as well as Julian Jaynes' The Origin of Consciousness in the Breakdown of the Bicameral Mind. We can see then, that placing Tzaddi with the Hanged Man results in harmony surrounding the symbols related to both the letter and the Trump. But what about the letter Mem? If Mem is then supposed to align itself with the Trump the Star, is this harmony disrupted? First let us consider that the Hebrew letter Mem, spelled in full, is Mem-Yod-Mem, which by Gematria adds to 90. The letter Tzaddi is also 90 by Gematria. The etymology of the word Aquarius, is from the Latin aqua, meaning "water," and -arius, which was a Latin suffix denoting an agent of use, similar to the English suffix -er. (http://en.wiktionary.org/wiki/aquarius, and http://en.wiktionary.org/wiki/-arius#Latin). Thus, as a noun aquarius means a water bearer, or an inspector of aqueducts or pipes. As an adjective, the Latin aquarius means of or pertaining to water. The ancient Egyptian hieroglyph for water is equal to the symbol for Aquarius, and was sometimes used in Alchemy as a symbol for water. (http://profweb.us/osteopath/Backup/modules/alchemy-symbols-for-the-elements-i15.gif) Thus we can see how harmoniously Water can be attributed to the Star instead of Aquarius, since Water and Aquarius are so closely related. The Trump the Star is located between Geburah and Hod, which in psychological terms represents respectively, the will, or the power of volition, and the realm of thoughts. In the human able to utilize conscious thought, the will is able to act as an "inspector" or overseer of the thoughts through the power of metaframing. In the human unable to utilize conscious thought, the will is entirely subservient to the unconscious drives. Since humanity has now moved into an era in which the Unconscious is recognized consciously and can be explored by the 7plusorminus2 (the Conscious Mind), the Star now takes on a very different meaning, since every human being is a star in the sense of being a potential ruler of the Unconscious, rather than it's passive servant. 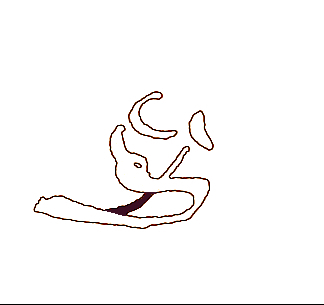 If we are to acknowledge the fundamental pattern of the Hanged Man Trump is an upside-down Tzaddi superimposed on an upside-down Tzaddi final, and that that pattern should be turned right-side-up, is there any possible relationship to the passage from the Zohar quoted above regarding Tzaddi? Why would there be any concern whether the letter is "upright or turned downwards"? 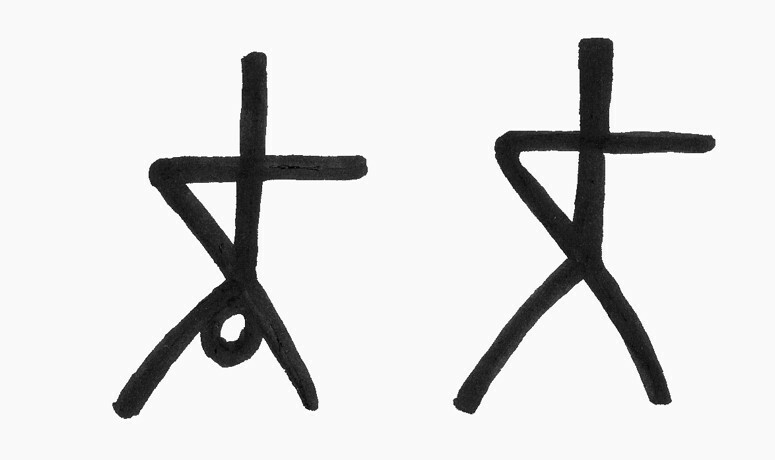 Could this be a reference to the glyph of the Hanged Man being an upside-down Tzaddi? The Zohar passage then states "The Holy One, blessed be He, said further to her: I will in due time remove thee from your location, that is, divide thee in two, so as to appear face to face, but in order to accomplish this, you will have to go up into a higher realm so as to achieve this status of face to face unity, but this will be accomplished later on. . . ."
Even if we conclude that the letter Tzaddi should be assigned to the Trump that has traditionally been, in the last Aeon, referred to as the Hanged Man, and which, according to Crowley, in the "Aeon of Isis" was referred to as "the Drowned Man," given the fact that the psyche among the human masses is changing and evolving over the aeons, it might be appropriate that "the Hanged Man" no longer be the title of the Trump, nor the glyph a man hanging upside-down. 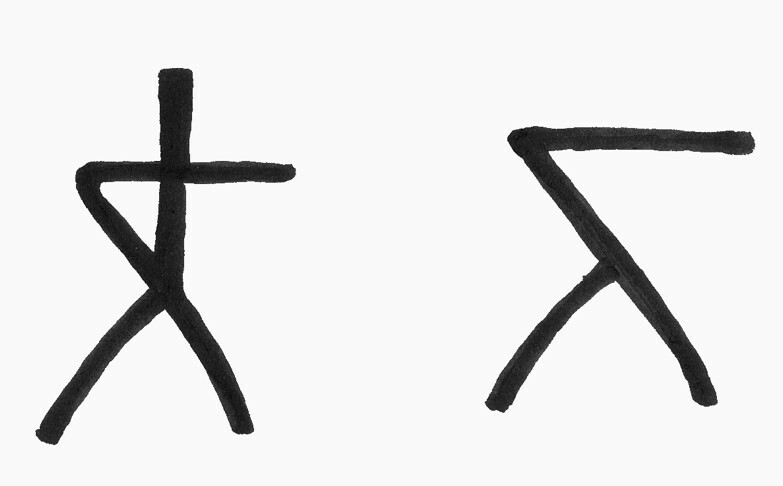 If we determine that it would be more appropriate in the present age to turn the glyph "right side up" (aright), the symbol resembles a dancing man, and perhaps that should be its new title. I am not suggesting the card must be redesigned in this way, but only that the card representing "the Hanged Man" does not reflect the reality of this Aeon, although it does reflect accurately the state of affairs during the previous Aeon. Sincere and constructive comments are welcome. *It does not matter whether or not a "praeter-human" intelligence named Aiwass (or Aiwaz), dictated a chapter of The Book of the Law (aka Liber AL, Liber Legis, Liber AL vel Legis, Liber AL vel Legis sub figura CCXX), to Aleister Crowley (aka P., Pedurabo, Frater Perdurabo, O.M., Ankh-f-n-khonsu, The Master Therion, To Mega Therion, The Beast 666), in Cairo, Egypt, between noon and 1 p.m. on April 8th, 9th, and 10th of the year 1904. It makes no difference whether or not Aleister Crowley wrote The Book of the Law in New York City during World War I at the behest of a group of wealthy industrialists. What matters is that for many decades numerous versions of the Book have been published which included facsimiles of the handwritten manuscript, and these facsimiles, when compared one to another, appear identical.